Discussion in 'Missing Persons Discussion' started by dotr, Mar 22, 2019. York Regional Police are searching for a 24-year-old man who went missing after visitng a hospital in Vaughan on Thursday. Abrams is described as being five-foot-four, 140 lbs., with long curly dark-coloured hair and brown eyes. He was last seen wearing a white toque with a blue stripe, a dark winter coat and jeans. cybervampira, Minou, LaborDayRN and 4 others like this. Minou, LaborDayRN, Choochoobella and 3 others like this. I can understand why his family is so worried! He wasn't just "visiting the hospital," he was released from the hospital, albeit with permission to leave. The family said it's very uncharacteristic for Simi not to have contacted anyone. The police officer in the video said "finding some of his personal belongings quite a distance away, it's a little suspicious for us." Man, I hope he's okay. TatianaBarbie, LaborDayRN, GarAndTeed and 1 other person like this. York police have set up a command post at 888 Teston Road in Vaughan to look for 24-year-old Simi Abrams. He left on foot from Mackenzie Richmond Hill Hospital at 12:30 p.m. yesterday and has not been in touch with family since. Police say he does not have access to a vehicle. Const. Andy Pattenden says police and family members are growing increasingly concerned for his safety. "If anyone spots him, please call us right away," he urged." Anyone with information is asked to contact the York Regional Police #4 District Criminal Investigations Bureau at 1-866-876-5423, ext. 7441 or Crime Stoppers at 1-800-222-tips or leave an anonymous tip online at www.1800222tips.com. TatianaBarbie, LaborDayRN and GarAndTeed like this. TatianaBarbie, GarAndTeed and dotr like this. 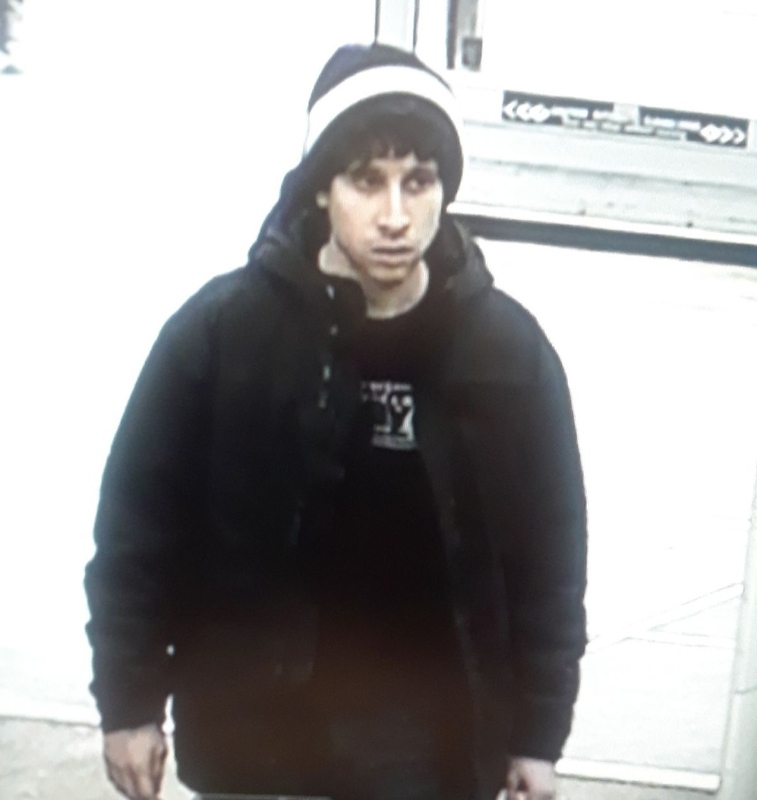 "Simi Abrams, 24, was seen leaving Mackenzie Richmond Hill Hospital around 12:30 p.m. A surveillance video then caught him entering and leaving a store at 1900 Major Mackenzie Dr. W., shortly after 2:30 p.m. He has not been seen since. Hatzoloh Toronto, a volunteer EMS service, has helped co-ordinate two searches for Abrams. Close to 200 people participated in a search organized by police on Sunday, according to Hatzoloh’s Facebook page. Abrams was last seen wearing a white toque with a blue stripe, dark winter coat and jeans. Anyone with information is asked to contact York Regional Police at 1-866-876-5423 ext. 7441." York Regional Police are set to hold a press conference this morning as they continue to search for a 24-year-old man who went missing in Richmond Hill a week ago. 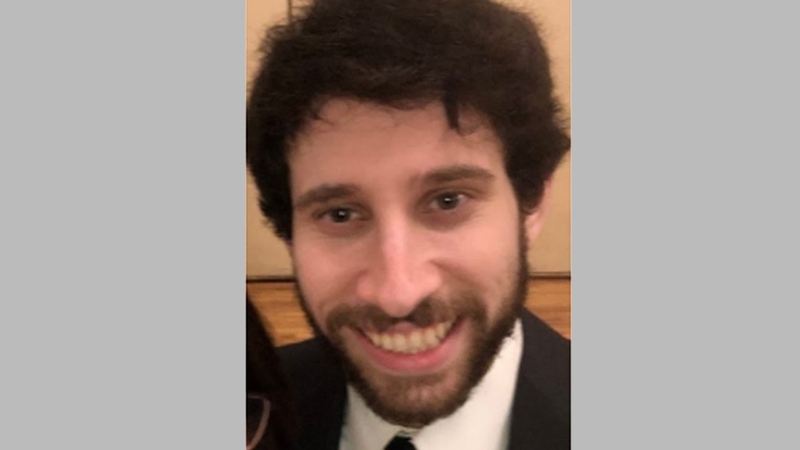 Vaughan man Simi Abrams was last seen at around 12:30 p.m. on March 21 when he walked away from Mackenzie Richmond Hill Hospital, at Major Mackenzie Drive and Trench Street. Police say Abrams has not been in touch with his family since". "The news conference at #4 District is expected to get underway at 11 a.m."
“Police and his family are growing increasingly concerned for his well-being,” YRP said in a statement. Investigators believe Abrams is likely still wearing the clothes he walked off in. "The father of a 24-year-old man who went missing in Richmond Hill a week ago made an emotional appeal to his son to come back home Thursday. At around 2:30 p.m. he went to a Walmart store in Maple and purchased goods, including foil trays, bread and lighter fluid, that indicated he was planning to have a BBQ in the woods. His movements were then traced to the area of Keele Street and Teston Road, where he was last spotted walking west at around 3:30 p.m.
Later that day, police found his wallet and cellphone." “On the evening of March 21, at around 11 o’clock, 11:30, we were able to locate Simi’s phone and a wallet, which was on a path in a woodlot just west of Bathurst Street, south of Teston Road, in that neighbourhood,” Detective Sergeant Kevin McCloskey said. Police said it appeared Abrams been there at around 1:30 p.m. that day. Police said Abrams, a student who lives with his mother, has not been in touch with his family since that day and they are growing increasingly concerned for his well-being. Teams of volunteers have also gone out to search for him, but have not been able to find him. McCloskey said the young man could be seeking shelter in a coffee shop or ATM vestibule or some other sort of makeshift shelter and appealed to the public to keep an eye out for him." McCloskey suggested Abrams may have sought shelter in a shed or abandoned home in a rural area of Vaughan and urged residents to check their properties. “Every indication as supported by the video evidence was that Simi was healthy and able and walking on foot and covering a clear distance in a short period of time. Where he then goes from there – north, south, east or west – nobody knows,” McCloskey said. “I’m concerned for his personal well-being in that I don’t know what amount of money he had on him, I am aware that he did take a credit card with him from that wallet. There’s no reason to believe that he has or has purchased anything more than what was on his back.,” he said. Investigators are asking the public to call police immediately upon spotting Abrams. McCloskey went as far to ask those who spot him to keep their eyes on him until police arrive." "Anyone who spots Abrams is being asked to call York Regional Police immediately."